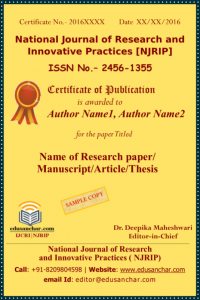 All authors must adhere with below guidelines before submitting paper for review. Originality: Manuscript must be original and should not have been published previously any where. 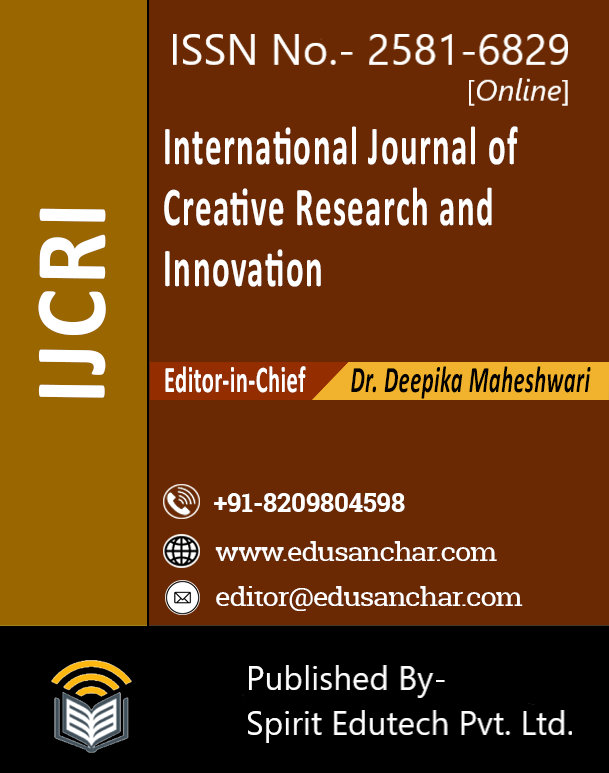 Research Work: As we say research work, we mean your paper should be proper research, new innovation or further research work. 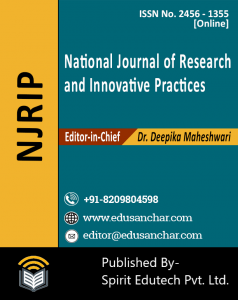 Open Access: IJCRI/NJRIP is open access platform. All accepted work will publish in our monthly journal and freely available to all readers. 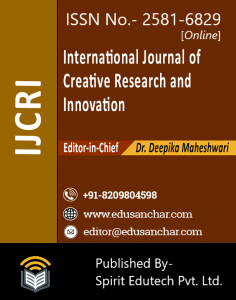 Author should agree to provide their research work in open access after publication. 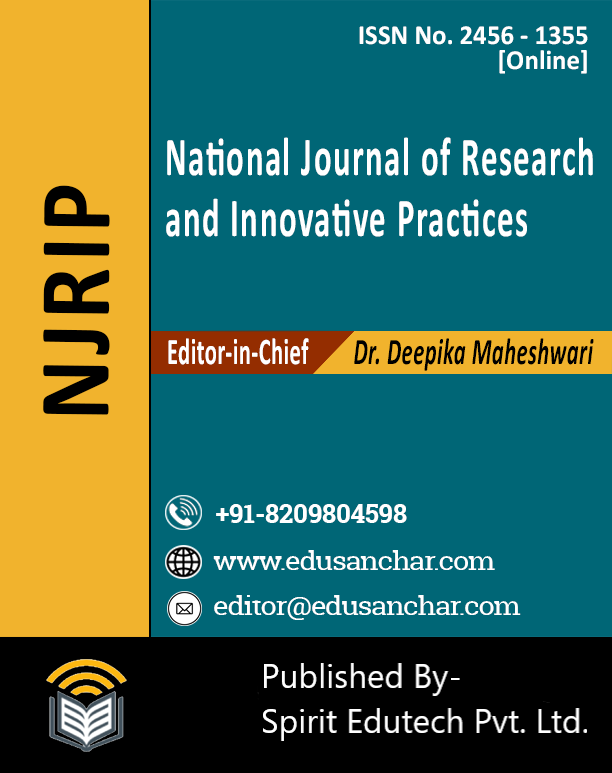 Multiple Authors: If there are more than one author in paper, all the authors must be in mutual understanding before submitting paper to IJCRI/NJRIP. 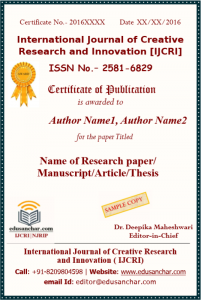 Paper Format:Paper must be IJCRI/NJRIP format. Languages : Manuscript must be written in English using MS-Word (doc or docx format only). Number of Pages: There is no such restriction with number of paper. You can have upto 30 pages in your paper. If there are more than 30 pages it will consider as monograph. 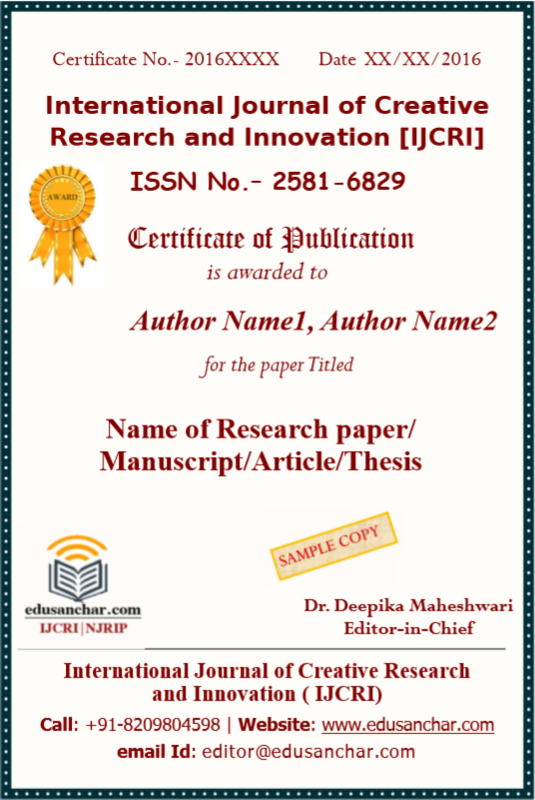 Number of Authors: You can have maximum of 3 authors in paper. 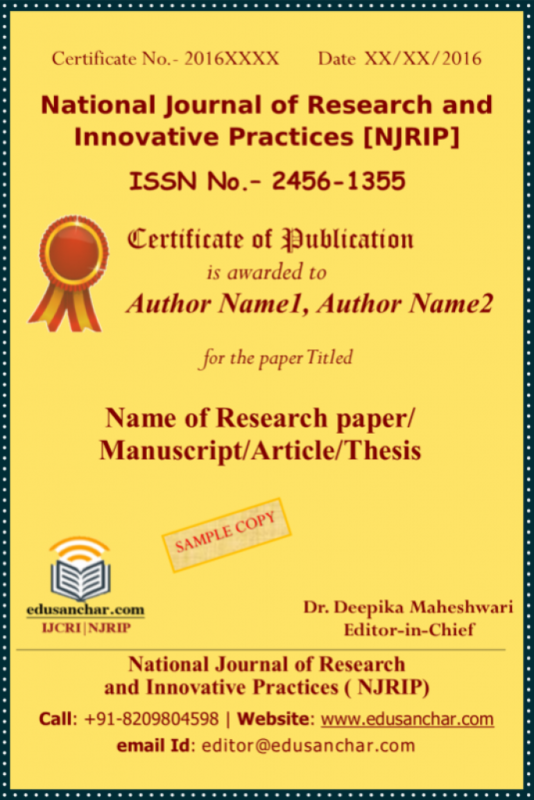 If there are more than 3 authors in paper, kindly mention while submitting the paper. Images: All the images added in paper should be very clear and proper caption should be given. Tables: All the result tables should have numbering and proper caption should be given.